Email Marketing will continue to be considered an important tool to inform the customer about offers, new products or special campaigns. Although not every year it is necessary to start from scratch, technical developments and changes in the behavior of users that require adapting marketing strategies are happening. Probably you already sound many of the trends that appear in the article, a sign that they are current with an increasing importance. Other methods such as A / B tests or mobile web optimization are so recurrent in the field of newsletters that they do not even need to be clarified. The first big challenge facing marketing professionals is to get the email address of the clients, because without their consent they cannot be sent a newsletter. The situation is this: the providers of web pages, blogs and sales platforms want to reach their customers by email; however, users are not willing to subscribe to a newsletter without further ado. That is why it is a good idea to resort to a strategy in which both parties win. Marketing specialists can resort here to a technique normally used by online newspapers known as gated content. For funding beyond ad insertion, some online magazines contain their articles after a pay wall (paywall) so that, despite having access to a number of free items, the customer has to go through box to read the premium ones There is also the option to demand the payment of an amount to be able to continue reading articles once a preset limit has been exceeded. In the case of online marketing, the customer “pays” with their own information. That’s why it makes sense to create content that can only be read if the client decides to subscribe to the newsletter. For this to happen, it is necessary to offer content that really is of interest, because many are willing to provide their contact address in exchange for an online course, statistical reports or whitepapers. A preview can be provided so that the reader can evaluate whether the content offered is worth or not. Once a list of addresses has been created, it is necessary to pass on the regular sending of informative newsletters to the clients, a process that is recommended to automate. Although automation is not new in Email Marketing, it is becoming increasingly important. It is no longer enough to plan and proceed to send a message once a week, but now automation must respond to the behavior of the consumer and, in this way, accompany him personally in his purchase decisions. Thanks to this resource two different objectives are achieved at the same time: on the one hand, it is possible to react to each user in a more personalized and fast way, since it allows sending in real time to the client a previously prepared mail based on their online behavior. On the other, automation saves resources, since it takes less time and less staff to carry out an effective email marketing strategy. The personalization of emails, closely related to automation, is another trend of Email Marketing that is becoming increasingly important. In order for the messages sent to achieve the desired effect, they must be adapted to the recipient as much as possible. It is no longer enough to include the client’s last name correctly in the header, but it is also necessary to discover which person is hidden behind the email address and adapt the content accordingly. Now more than ever it is possible to access numerous data related to customers and even when these data cannot be assigned to individual people, they provide a good overview of the target audience. Likewise, with automation it is possible to react directly to the behavior of customers: they are sent confirmation emails after a purchase, they respond to the product search, they are congratulated for their birthday, they are given discount vouchers, etc. It is also recommended to contact customers only when necessary and provide them with relevant content. It does not make sense to send information about the upcoming discounts of computer accessories to a user interested in new games for consoles. That is, you cannot put all customers in the same bag, so it is recommended to design different lists based on the different characteristics of each group. In 2019, GIFs and videos will continue to be preferred over images and static texts, since technical development has allowed dynamic content to be incorporated into newsletters. Many mail programs and web clients use GIF files, and it is also possible to play videos in email messages thanks to HTML5. The use of these innovations allows you to be up-to-date in visualizing web content by allowing, for example, developing your own GIFs that manage to simulate Instagram or Snapchat stories. In addition, videos have become a regular item of articles, posts on social networks and instant messaging. With this type of content, easily differentiable from the competition, you can reach your customers better, but do not abuse: although moving images serve to attract the attention of the reader, introducing chaotic movements typical of the beginnings of the Internet causes just the effect contrary. In addition, using dynamic content in a fair measure has another advantage, and that is that, despite new developments, not all users can benefit from this technique. The cause of this may be that the program used is not compatible with the format of the content or that a mobile device is used for which these types of files are very heavy and, therefore, require a lot of loading time. In addition to graphics and videos, there are other elements that can be integrated into emails. Another trend of Email Marketing for 2019 is interactive content, which allows users to interact with it at the same time they read. After that, the concept of gamification is hidden, that is, to introduce in the mail elements of the game that challenge the reader. This resource is effective when there is a sense of success in the user, even if the only reward is to overcome the challenge. Another type of incentive consists of rewarding you with small gifts such as coupons. But interactive content should not always resemble a game: the user’s interest increases at the moment in which some elements are introduced with which to interact. For example, different tabs can be inserted through which the visitor can click on an offer. It has also been proven that the surveys that are completed directly in the mail show very good results. With this you gain by two because, on the one hand, you collect very interesting data and, on the other, you attract attention to the content of the mail. Artificial intelligence is used more and more frequently in areas outside of computer science. Therefore, apart from the giant Google, other smaller companies also bet on both artificial intelligence and automatic learning . It is for this reason that another of the most current trends in Email Marketing is to integrate artificial intelligence in the creation and dissemination of newsletters. Although there is still much to investigate, it is recommended to start implementing it and not lose sight of it, especially in the areas of predictions and optimization. With an artificial intelligence system, a series of calculations are carried out that enable, for example, discovering the best moment to send information to customers. This type of systems not only allows you to determine the habits of a specific group, but in theory you can also discover the optimal period of time for each client. It is also possible to apply it in the writing of the mail subject , which determines whether the reader opens it or not. In fact, it goes one step further. From the large amount of information that an artificial intelligence system can manage, it is also possible to make predictions . In this way you can know before sending an email if the image included in a newsletter is attractive enough for the client. Although it is not a trend itself, it must be enforced by each and every marketing company, we find a point to which we must pay special attention: data protection in relation to artificial intelligence. It is true that it is not a new term, but rather an old acquaintance, given that data protection has been, is and will be an essential element in marketing. All personal data greatly facilitate the work of advertisers on the Internet, especially if combined with artificial intelligence. However, it must be kept within the legal framework, otherwise, in the worst case the trust of future clients is lost. With the General Data Protection Regulation (RGDP), companies have to comply with even stricter rules regarding the processing of personal data: some aspects have changed and others have been specified or restricted. It is mainly established that customers must give their consent for the collection of their data, using the information only for the purpose that has been exposed. That is to say: the data provided by a customer in a purchase process should not be used for an advertising purpose, since theexplicit consent for it. In addition, you must ensure that the data does not fall into unauthorized hands. Likewise, many companies will have to resort to a delegate of data protection, since from the moment in which more than ten employees are in charge of registering regularly information of other people, this position is obligatory. A large amount of documentation and information obligations are also required: the data kept must be documented in a much more precise way together with its purpose, which must also be communicated to the user and, if this is his wish, proceed to delete all your collected data. Important for many companies is also the point that is hidden under “privacy by default” (privacy by default) that establishes that the technical adjustments for the collection of personal data should be as restrictive as possible and only after the explicit approval of the client be possible to share your data. For Email Marketing, this means that it is necessary to treat the data with more transparency and to have greater responsibility for them. 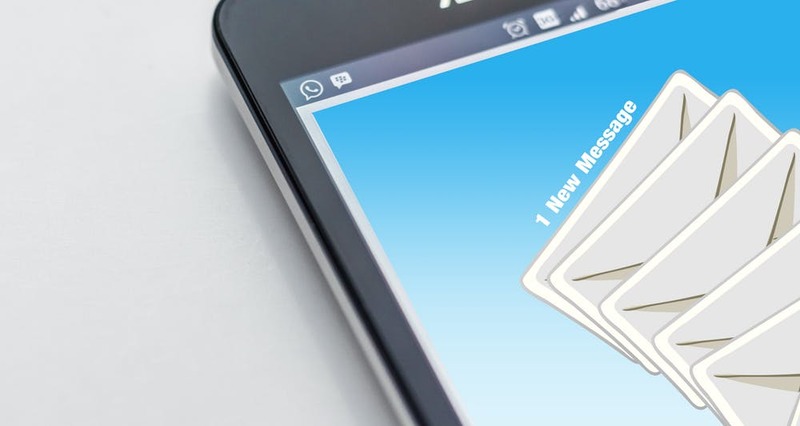 The trends of Email Marketing in 2019 are focused on further developing the elements that were available so far. You can still get a lot out of automation and individualization when combined with artificial intelligence. The same applies to the presentation of emails in which a dynamic and interactive content will attract even more readers. Therefore, it is recommended to be attentive to what the future brings both in the presentation and in the choice of content of emails in the field of marketing.